The first suggestion we make is to read what we said last year about the month of Tevet. What will be said this year will build on what we said last year. Below is the link to last year's Blog about Tevet. Please press your back button to return to this location after you read last year's Blog. New Sections on the Yeshshem Website in Honor of the New Year 5776 - "Pause that Refreshes"
It is highly recommended to read this each month of the year as there will be additional information added each new Hebrew Month starting with the 8th month of the year which is Cheshvan. There is a relationship between the Parasha of a week and the Hebrew month and Astrological Sign that the Parasha is read within. The first link will explore these relationships. Each of the 7 days of the week that a Parasha is read also has a relationship to the 72 Names. The second link will connect you to information about the 72 Names associated with this Month and Parasha. Learn about the energy of each Parasha and how it relates to the Hebrew Month and Astrological Sign. Name: Tevet. The word Tevet is cognate (sounds like) to the Hebrew word Tov which means Good. The energy of Tevet was originally Good. Mashiach was supposed to either be born in Tevet or manifest in Tevet relating to the essence of Tevet at that time being "In good condition." The energy of the month of Tevet is considered by the Zohar to be one of the three most negative months of the year. The other two negative months are Tammuz and Leo. See the discussion of the Tribe Elder Gad below for one possible explanation for this determination. The Ancient Hebrew Mindset and the mindset of the world when Mashiach manifests was/is/will be that "good condition" means everything is as it supposed to be. If it is a painful or uncomfortable period that is a necessary condition to reaching completion and become good. Attribute: Agitation - רוגז - rogez. For most of us agitation leads to anger and as you will see below the energy of Tevet is best handled by being aware of our potential to anger and not allowing it to manifest in our emotions and life during Tevet. In the ancient Hebrew mindset agitation is an irritation that leads us to search for spiritual growth and thus is seen as potentially good. Ancient Tribal Connection: Gad - גד . 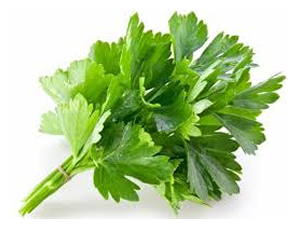 Gad has the meaning of coriander, wormwood, or bitter herb. There is a midrash that teaches that the Mashiach manifestation was moved to the month of Shevat due to some mistake that the son of Jacob named Gad performed. The action is not identified and no one knows until the resurrection of the dead makes Gad Ben Jacob Avino available to answer questions. There is a possibility that the mistake relates to the period of the Shovavim which is discussed below. Modern Tribal Connection: Asher - אשר . Asher has the meaning of "Happiness." Jacob's wife Leah named the child from the surrogate mother Zilpah (Leah's Handmaid) Happy or Asher. Yet it is a bittersweet happiness since she was unable to bear the child herself as she would have liked. She was happy to provide Jacob a fifth son, yet she would have preferred if that would have happened with her as the birth mother. 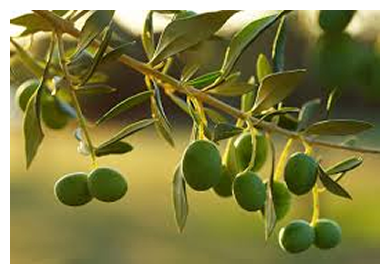 Tribal Totem: Olive Tree אלין זית In the previous generations Olives produced oil and oil is connected to the Sefirah of Wisdom or Chochmah. The word for tree that is being used here is significant in its gematria of 91 which shows the potential unity of the physical world with the spiritual world. Tribal Stone: Beryl תרשיש . 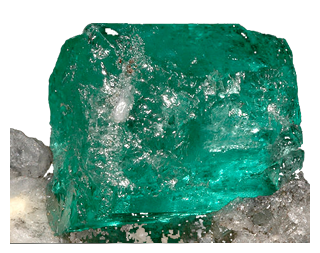 The stone Beryl in Hebrew is Tarshish. Tarshish is the location that the Prophet Jonah was going to when he ran away from his job that HaShem gave him.There is a little known connection between Ninevah where HaShem sent him and Tarshish where he wanted to go. The gematria of Ninevah is 121. The gematria of Tarshish is 1210. Jonah was not running away from his work. He wanted to shorten the process of his work by completing the 10 Sefirot of his work. With this information we can begin to understand the true energy of Tevet which is discussed below. Tribal Herb: Aromatic Bark קילופה Kilufah. The Hebrew word Kilufah permutates to words that translate as "Here is my voice." This is a significant aspect of the energy of Tevet being cognate to the word Tov or Good. House: Malchut. This item is connecting to the Sefirah of Malchut which means Kingdom or Sovereignty. The phrase becomes "The Kingdom House." Zodiac Sign: Gdi = goat גדי . The goat is called Capricorn. The goat is connected to judgment and also to sweetening judgment. Tribal Flag: Yarok Kazayit ירוק כזית Olive Green with the image of an olive tree. Green is the color of the central column as expressed by the teachings of the Kabbalah. Tribal Direction: North צפון Tzafon has the meaning of North as well as hidden and mystery. One understanding of this meaning is "to peek into the unknown." The Name of this 10th month of the Hebrew Calendar is Tevet spelled with Tet which is the first letter of the word Tov meaning Good. With that said everyone is expecting a Good month. This will be true providing your vessel can handle the energy. Remember the spiritual rule: The 10th Sefirah Malchut has no light of its own. It receives light from all of the higher 9 Sefirot. This is an abundance of light in the middle of the cold dark night of winter. If you have a sufficient vessel you will have a good month. If you are like the majority of people this excess energy will cause you to get ANGRY even unto RAGE. Due to this excess energy the protective curtain which we call the Ozone layer does not work during Tevet. It is up to each individual to HANDLE this energy. The way to handle the energy is with the spiritual tool of Binding by Striking. During Tevet you will be exposed to situations that will cause a reactive response to become angry. It is also a good month to learn to control your anger responses. Remember this spiritual tool: Acting out Anger is different and more severe than feeling Anger. One method to release anger is to understand the cause of why you feel this anger. Frequently anger surfaces in response to an incident which is not truly the source of your anger. It is important to delve into the source of your anger without acting out your anger. Let us discuss Anger and how dangerous it is spiritually. Rabbi Issac Luria, the foremost Kabbalist of the last 500 years, teaches that when one allows themselves to get angry their Neshama (soul) leaves their body and is replaced by a Neshama from the other side. What does this mean on a practical level? It means that you are not yourself and whatever actions are taken by this "foreign Neshama" you will need to cleanse and accept the effects of these negative actions. In other words, the world will see you do a negative action and that "cause" will return to you as chaos. Ultimately, when you get angry you give yourself over to the negative side. This is why our Sages teach that Anger is Idol Worship. The months of the Hebrew year are connected to the Tetragrammaton. The Kabbalists teach that Tevet along with Shevat and Adar are connected to the lower Hey. In Kabbalah the lower Hey represents Malchut which is called Sister and also called Wife to the "Son" which is Zeir Anpin. Malchut and the lower Hey is a metaphor for our physical world. It is also representative of the final step in any process or goal. We use the word manifestation to express this idea. Tevet being the 10th month also represents the Malchut. Yet it is not the final step since there are two more months in the year. Yet as the tenth month it comes in a state of judgment. That is also another explanation for why this month is so difficult for most people. Why do we "fear" judgment? The answer is our souls know that we are not yet complete. Our souls know that we make mistakes and there are effects in this world for those mistakes. If we were righteous we would be happy to receive our judgments since they would be filled with pleasure and not pain. In the corrected world after Mashiach our Sages teach that the world will once again be based strictly on judgment without Mercy. This is a very big secret that needs to be contemplated. The letter Ayin also spells the word for "eye." This connects to wisdom and vision. The letter Bet represents Blessing. During Tevet (if your vessel can not handle the energy) it is hard to see the Blessing and it is hard to utilize the spiritual wisdom since we frequently get angry. Of course once you know what is coming, you can take steps to overcome this tendency. Now, let's look at the permutation of the Tetragrammaton for the month of Tishrai and what we can learn. The Tetragrammaton is normally spelled יהוה. When the Yood is in the first position. The first position is normally considered the World of Atzilut (Emanation). The second position normally has a Hey and is considered the world of Brea (Creation). The third position normally has a Vav and is considered the World of Yetzirah (Formation). The fourth position normally has a Hey and is considered the world of Assiya (Action or Manifestation). All of these worlds in the paragraph above relate to descriptions and teachings in Kabbalah. 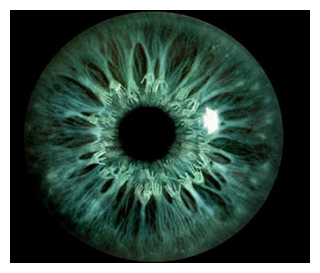 They are metaphors to help us understand and relate to these worlds that we do not see with our physical senses. The word that is the Tetragrammaton is actually the Hebrew verb "to be" in a conjugated form. The Yood at the beginning of a Hebrew verb indicates action. Therefore, the Name of God translates into English as "Active Being." The ultimate essence of "Active Being" is transcendent power of love and compassion without regard to people's merit. This normal permutation which is used in the month of Nissan puts the Name of God in its normal, proper, and optimal placement to provide for the maximum flow of the Beneficence of HaShem. In essence the Yood, in the World of Atzilut, allows for a concentrated point of connection to the World of Ain Sof or Endless World. The upper Hey in Beria expands to support actual birthing and Creation. The Vav then channels this energy of Creation into the final Hey in the World of Malchut which is Manifestation. When we look at the permutation for Tevet, we see a reversal in both the upper worlds (Yood and Hey reversed) and the Lower Worlds (Vav and Hey reversed). In this permutation the Yood is in the world of Bria which is related to the Mind. This indicates a focus on mental attitudes, while the Vav in the Malchut position indicates a continuous flow of energy into the physical world. The Hey in Yetzirah and the Hey in Emanation represents an expansion of energy into these worlds. Overall, we see this permutation is creating the flow of energy into Tevet from the other 9 months and may be too much energy for most people. As said above the Ayin represents the energy of Wisdom and also the aspect of vision. The Ayin created the sign of Capricorn as well as the month of Tevet. This energy "feels" cold and distant from our physical world, but actually is warm and inviting when we realize the spiritual aspects of our lives. The Bet created the planet Saturn which is the furthest planet from the sun of the visible planets (the 7 inner planets). As the farthest from the sun Saturn appears distant and cold and this just reinforces the idea that the physical world is the most important. This is why the Capricorn develops ideas about "they having built what they have accumulated materially over their lifetime." This is clearly a wrong image since everything comes from the Creator..
As a student of Kabbalah one knows that the number 72 which is the gematria of the Ayin and Bet together connects directly to the 72 Names of God and the 72 Names from the Tzadikim. These Names were used to Create the forces of the universe and are available to us to control the physical universe including manifesting Mind Over Matter in our Lives. Since Tevet has the illusion of being cold and distant and seeing everything separated from everything else, we generally are not aware of their use during this month. That just means it is a good time to study these Names intellectually. As such there will be classes discussing the pronunciation and other issues during the month of Tevet. Chanukah is also the only Holiday in the month of Tevet. On its surface Chanukah is a holiday about a miracle and many people celebrate it as a connection to a war over two thousand year ago. Some people explain it as the battle between Light and Darkness that occurs every day between the sun and the moon. Some people explain it as a battle between the Light of HaShem and the darkness of the secular world represented by Greek Culture. It is none of these things and all of these things. On its deepest level Chanukah is an indication that the energy of miracles is available to us on these 8 days. By the way, Chanukah is the only Holiday that crosses over into another month-an indication of going against nature. The Kabbalists explain that by lighting the candles in the open doorway of our homes we create affinity between this energy of miracles and the candle we light which actually draws this energy into our homes. The Kabbalists also explain that the light of Chanukah is the Light of Creation that was hidden away (called the Ohr Ganuz) for the righteous. There is a very deep lesson in this teaching. That lesson is: MIRACLE IS THE NATURAL ORDER OF LIFE. There is also a special Holiday within the Holiday of Chanukah. 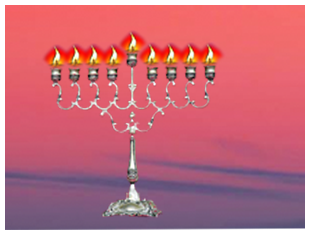 It is the last day or the 8th day of Chanukah. Its Name is Zot Chanukah. This translates as "This is Chanukah." Thus, we have to ask why we light Candles on the other seven days. Zot is spelled Zion Vav Tav. This is actually explained by the Kabbalists as the day when the Lights are fulfilling the appropriate vessels. The Name Zot is accurate since the Zion represents the male of Zeir Anpin and the Vav Tav is a female ending. Therefore, Zot Chanukah is the proper Light going in and fulfilling the appropriate vessel. This is what unification is all about. This is what is meant by the coming of Mashiach. Eight of Tevet - Many Haraidi (Orthodox) People fast on this day. This is the day that the Egyptian Viceroy received the 70 different translations of the Torah into Greek. Today we do not consider this a calamity to translate the Books of Torah into other languages.Yet it is actually a good tool to learn to feel the pain of others. Why do some people feel that translations of Torah is such a shundah? Shundah is a mistake that hurts the Creator. We know that translation loses something. What do they lose? ENERGY. This means, with respect to Torah, we are farther from HaShem since HaShem is total energy and to lose energy must mean we are farther from HaShem. That is not what we are to do in this world. We are to get closer to HaShem either by lifting this world up to HaShem or drawing HaShem down to our world by making this world heaven on earth. Tenth of Tevet - is ordained by our Sages as a public fast day. Historically it is when the walls of Jerusalem were breached in the destruction of both Temples. Our Sages teach that the purpose of this fast is not to mourn the Temple's loss but to mourn the ability of the Nation to truly share the Light of HaShem with the other nations. Please reread that last sentence. The job of the Israeli nation is to "be a Light to the other Nations." This means through our actions show that there is ONE HASHEM and this is what He wants of each nation. I hope you choose to fast this day. This year the fast is from sunrise on January 1st 2015 to sundown on that same day. Don't forget to participate in the ritual from the ARI in how to have a easy fast. It is on the yeshshem website. This year the 12th of Tevet which is Motzei Shabbat December 11th is the first day of the Shovavim period. Shovavim is an acronym for the six Parashiot that starts with Shemot and ends with Mishpatim. It is a period that is beneficial tot achieve Teshuvah for the Sefirah of Yesod. Usually people think of Yesod as sexual but that is a limited aspect. The more complete aspect is CREATIVITY. There will be a special class to explain this period. If you want the recording let us know. This class will take place on ___________2015 at 10:30 AM. The conference call number is 1- 857-232-0300. The pincode is 911904#. Our Tzadikim have given us a great tool. Themselves! Their Hilulah is the opportunity to utilize their connection to the Creator to make our connection easier. 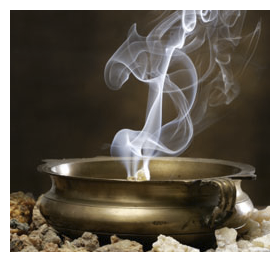 The method we use is to light a Yahrzeit candle (25 hour candle) and learn about the Sage. This strengthens our connection to the Tzadik and through that connection allows us to reach the Creator more easily. Here is the link to the Tzadikim from Tevet. It is recommended that one mentions the Names of the Tzadikim every evening at the start of your evening prayer connection or just prior to going to sleep each evening. Here are the connection to the Tribe for the month and the Leader of that Tribe from our website, with information about the Nasi and the attributes dealing with this month. I suggest you spend some time during this month checking out the attributes of the name Dan and the Name of the Nasi who gave the dedication and his consciousness of why he gave what he gave. Remember not all of these attributes are positive and with the tool of "Binding by Striking" we can correct them and transform them into positive aspects. Here are strategies to adopt for this month of Tevet. 1. Delve into Your Anger During the month of Tevet we have the tendency to get angry. Rather than suppress this emotion, take a long hard look at why you are getting angry. Use this opportunity to learn about yourself. Just do not act out the anger. 2. Recognize that your feelings come with Responsibility We all have feelings and these feelings have a source. This source is a reason for the feelings. We need to recognize that feelings can be changed. They change by themselves or we can change them. This is the idea of accepting your responsibility to overcome your negative feelings and replace them with positive feelings. To do this one needs to learn the source of our negative feelings and realize that You are responsible for them. There is a quick tool that works when we do not have time to delve into the source at that moment. Do not let your negative feelings hang around. Change them by "going to your positive place." Everyone has a memory or a fantasy of a positive incident in their life. When you return from this "day dream" you will a have a more positive feeling. The adage that works is "fake it till you make it." Think positive even if you do not feel positive and eventually your internal will be consistant with your external. Then you can always feel positive. 3.Practice Humility The ARI teaches us that the opposite emotion to anger is humility. This is a very great lesson and an amazing tool. When you do not allow yourself to act on anger you bring a consciousness of humility to yourself. Start to feel what it means to be humble. Not the false humbleness but the true knowledge of where you are spiritually. This is true humbleness. 4. See the GOOD in everyone and everything.Tevet begins with the letter Tet which is also the first letter of the word Tov (Good). Our tendency this month is to experience everything separated from everything else. It can be difficult to "see" the unity within these disparate events in our life this month. Look for the unity even when it is difficult to see it. Also, evaluate the events and people in your life with mercy. Look for the good within each person and within each event. Do not dwell on the pain. Remember as you experience each day and each event in this month nothing is coincidental; things do not just happen and the deepest pain precedes the greatest revelations. If your lunar north node is in the Zodiac sign of Kislev, your Tikune is in Kislev. 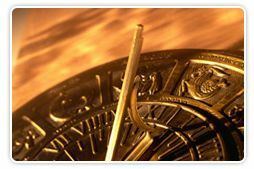 If you do not know where your north node is within your astrological chart send me your birth date birth location and birth time to yeshshem@hotmail.com. I will send you information on how to find your north node and your personal Tikune. In your previous incarnation as a Cancer you were constantly fearful and anxious. In your past life you sought security by idealizing life. In this way you managed to conceal your problems or to abdicate your personal freedoms by accepting direction and control from others. The result was to reject responsibility. As a result you are the ultimate conformist. In addition you will rely on the material world for your security. Due to your lack of confidence you may have drawn close to your parents and family. You may even unfairly make them your scapegoat. In the past you refused to grow and act in an infantile manner. You found it difficult to take risks and always tended to play it safe. You organized your life around the search for security. This caused you to organize your life around the rules of the society. You became an officer of the law or even perhaps a politician. Your correction in this lifetime will teach you maturity. You will stop looking to your family and will learn to accept your responsibilities. In this way you will learn to take the pleasures in risk taking. You will enjoy committing yourself without forethought. You will gain self-mastery and readiness to fulfill your spiritual mission in this life. Tevet energy will bring us the opportunity to see the ultimate paradox. To gain control we must relinquish control. The energy this month will push us to see everything as separated from everything else. Resist that energy by retaining the consciousness that you are not acting alone. That you are part of a larger more complex plan that includes everyone and everything around you. This enlightened consciousness will prevent your impure actions from hurting others and allow your positive actions to grow the revelation of Light in the world. Our Sages teach an adage that applies to the energy of the month of Tevet. The adage is, "The body enjoys the body." Most people understand this to relate to a sexual meaning since the period of Shovavim usually starts in Tevet. Shovavim has the meaning of mischievous, unruly, or naughty. Sometimes the word lecherous is applied as well. There is a deeper meaning that reveals to us a deeper meaning to the energy of Tevet. In Numbers Chapter 21 Verse 14 the Torah speaks of the Wars of HaShem immediately followed by the phrase "Et Vahev BeSuphah." What is the concept of the Wars of HaShem? Our Sages teaches that the Wars of HaShem represents the idea of two bodies cleaving together. This is because cleaving can only be achieved in the physical world. In the spiritual world the consciousness of two spiritual entities defines their separation. It is impossible for them to cleave together. This can only happen in the physical world. The Wars of HaShem is a clashing of ideas in a search for truth.